10 WAYS TO USE AFRICAN MUDCLOTH - HIP HIP HOME! Most of the time these textiles are made into lovely pillows and there are several wonderful boutiques and Etsy stores selling them. 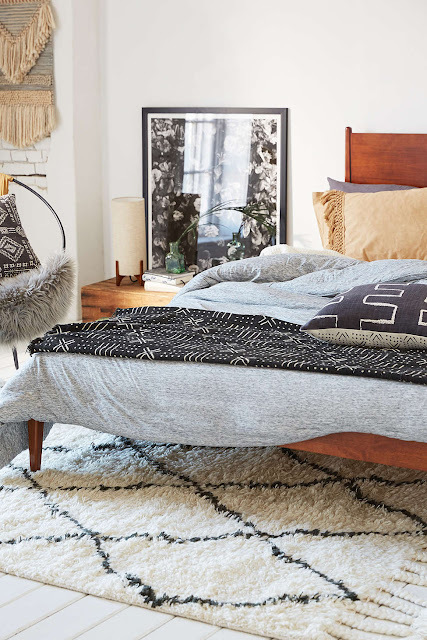 However, in the fictional scenario that you have enough pillows... wait, don't freak out! I said fictional. 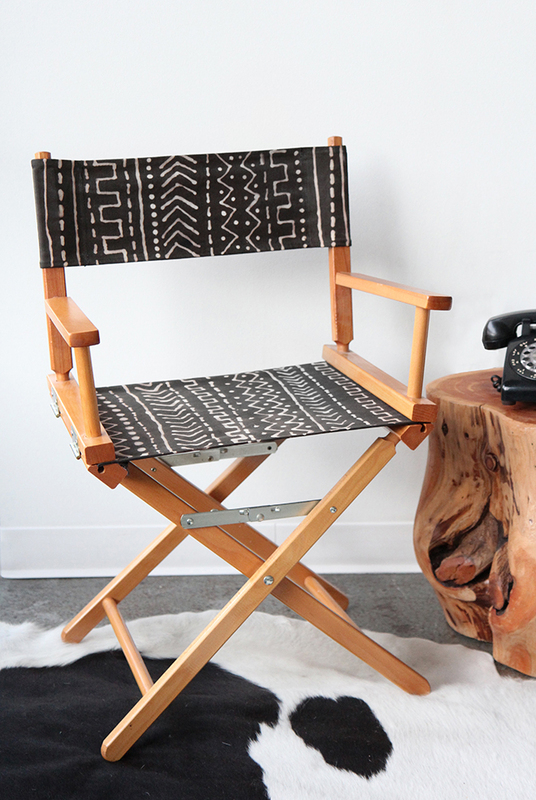 Well, here are 10 other ways to include mud cloth in your décor. Buy some mudcloth, take out your staple guns and upholster your own chair! If you don't want to D-I-Y, you can still B-U-Y at stores like Urban Outfitters, One Kings Lane or World Market. 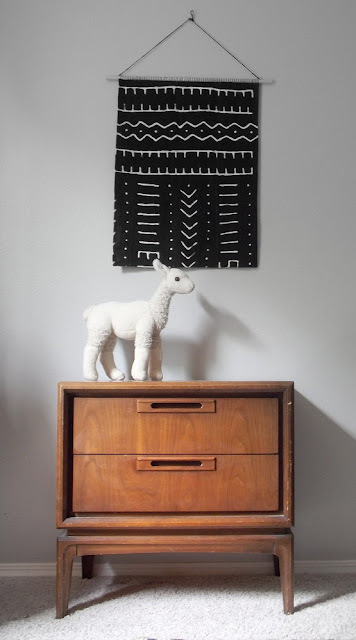 This Etsy shop Geometric Ink sells Mud cloth wall hangings and is an affordable way to get the look without spending a ton. Or you could go bold with a bigger tapestry. Drape this fabric over chairs, sofas or bedding to make an easy throw. Yes this is real! 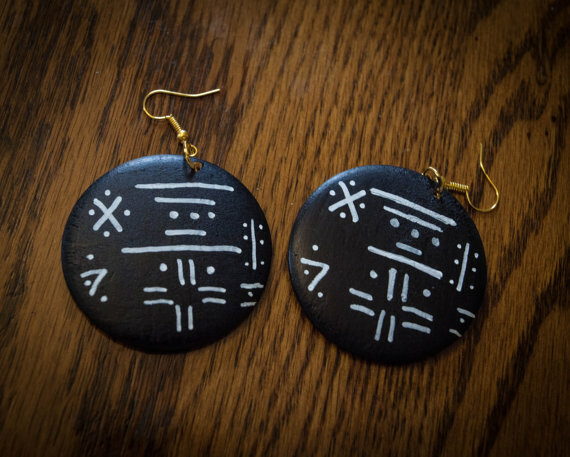 And you can buy these from the Etsy Store WoodYouWear. Would you wear? 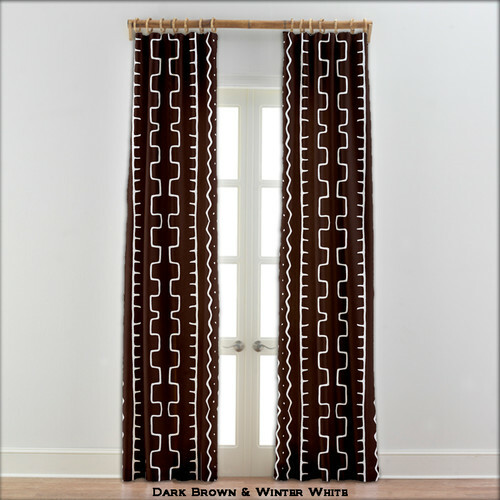 Add pizzaz to your windows with these drapes. If sitting on a mudcloth chair just doesn't cut it for you, take it up a notch and sleep on one like this. 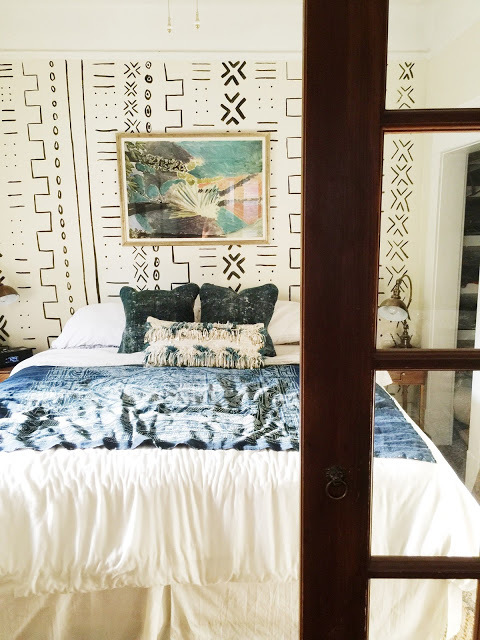 Whitney of Heavy Threads takes the prize for creativity with this mud cloth inspired wall. That is some serious DIY and you can read the How-to on her blog. 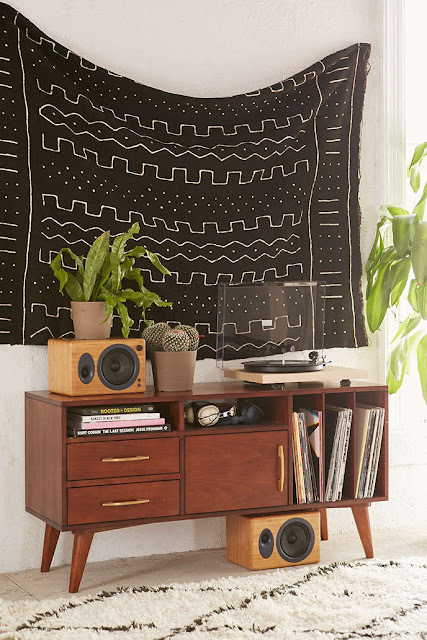 Jenni of I Spy DIY made this fabric out of black dye and a bleach pen! It looks as real as the original and you can read her tutorial here. 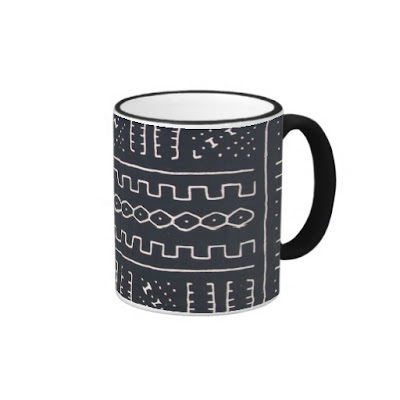 Add some kick to your mornings, by drinking out of a mudcloth coffee mug. Craving a Black & White geometric pattern for your walls? 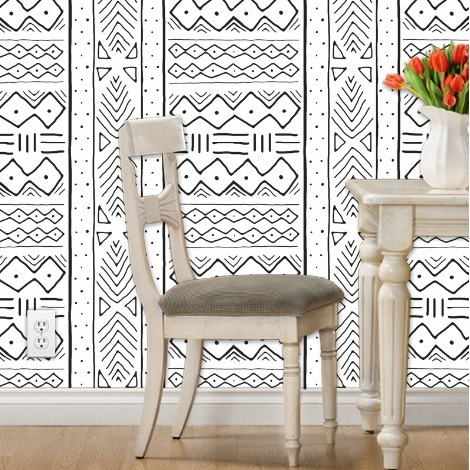 Well you can now buy Mudcloth Wallpaper from Spoonflower! These are just a select few - but while researching this article I found Mucloth bowties, Mudcloth Chuck Taylors, mudcloth bikini, mudcloth pottery, mudcloth headwraps ... I could go on. If you brain is not muttering 'Mud cloth..' in an endless loop just yet, here is a great article on 20 more ways to use Mudcloth. Read that, and I bet you will be where I am now. The classic Black & White duo and the geometry makes it versatile enough to fit into any design style. 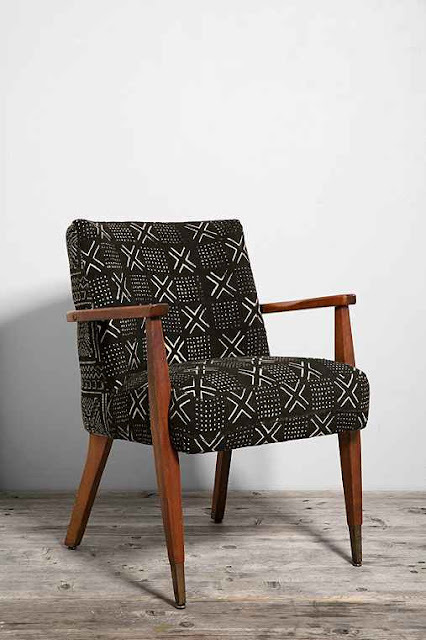 Mud cloth.. Mud cloth.. Mud cloth...... Somebody stop me! Ha ha ha:) There you go! Love this post Vin! I was going to share a similar post next week! haha great minds think alike. 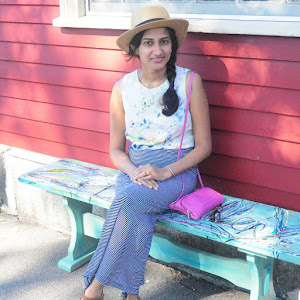 I shared your post on my FB page https://www.facebook.com/CasaWatkinsBlog/ but for some reason it won't let me tag you to the page?? Haha! Mud cloth. Mud cloth. Mud cloth. Those curtains are awesome dn my mind is churning a mile a minute for that wall treatments. Love it all! 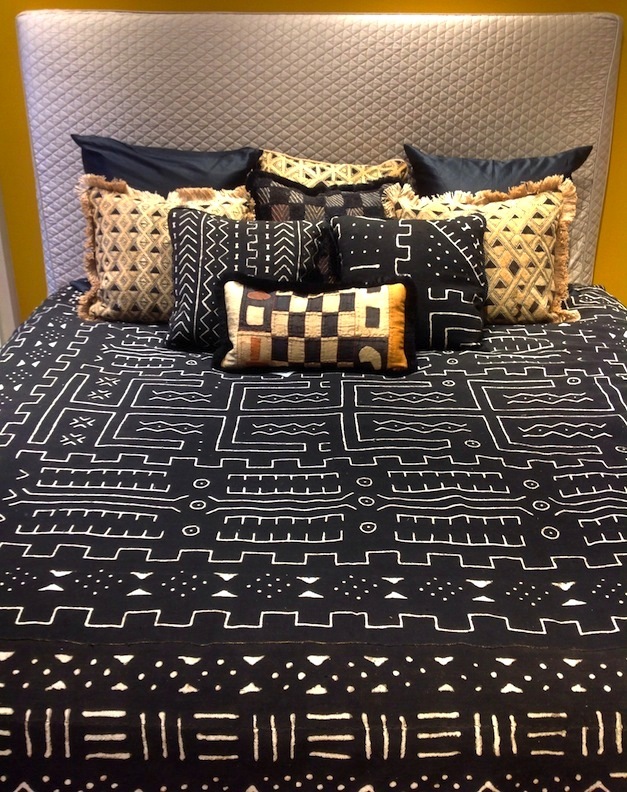 The mud cloth bedding is especially gorgeous. Isn't the bedding great? I would feel like royalty if I had that!